The strong ones, the Roman Gladiators, were called Hordearii, or Barley Men. Barley. The Romans said it was the barley that gave them greater strength and stamina than any other food. Cleopatra has her honey, but I think the women of today need strength and stamina. That’s our beauty potion — Strength and stamina. Do we need another grain in our diet? At the ARS Diet and Human Performance Laboratory in Beltsville, Md., research chemist Kay Behall is studying how eating foods prepared with grains such as barley and oats might reduce risk factors associated with excess weight, type 2 diabetes mellitus and cardiovascular disease. In a study barley was found to be much more effective in reducing both glucose and insulin responses. On a deeper level, a review in the journal Minerva, Med, found that beta-glucans found in Barley, reduce cholesterol, help control blood sugar, and improve immune system function. New research even indicates that beta-glucans may be radioprotective: they may help our bodies stand up better to chemotherapy, and radiation therapy. Pearled barley — the kind that’s probably in your pantry, has few, if any, of these special nutrients you need. Find some hulled barley (barley where the inedible hull was removed carefully, keeping any bran loss to insignificant levels) or hulless barley (a different variety that grows without a tightly-attached hull). This tougher barley can take quite a while to cook. That’s why you cook it in big batches and then freeze it until needed in soups, pilafs, or as a substitute for rice and pasta. The water you cook the barley in And that water you cook the barley in — it’s the gem. 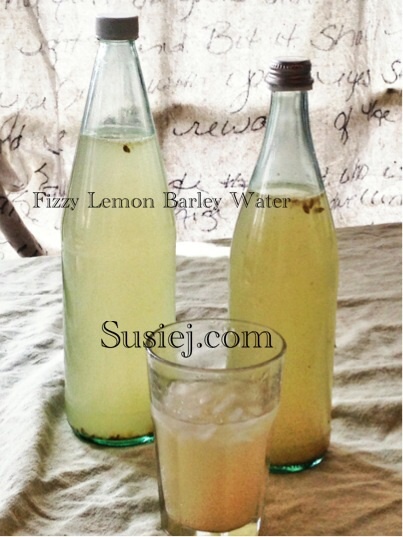 Used for years in Europe as a way to cool the body, barley water is full of enzymes, vitamins and minerals. To make lemon barley water, cook your barley in enough water to fully cover the barley — covering it at least with 2 inches of water. Add more water as the barley cooks. This could take 30-50 minutes. 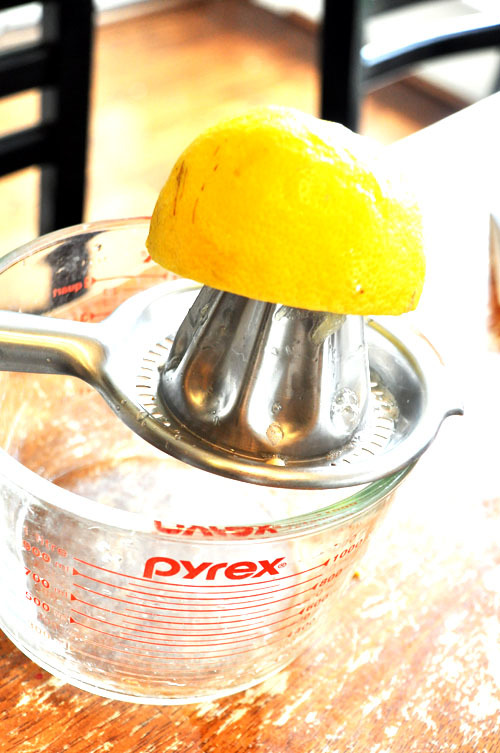 Now, strain off the water, and add 1/4 cup of lemon juice to each quart of lemon barley water. This is enough to refrigerate and sip on throughout the day. But don’t stop there — turn your lemon barley water into a fizzy, delicious, probiotic drink — and milk that barley for all the vitamins it has in it. This will add carbonation, and turn your barley water into soda pop — but quite healthy. 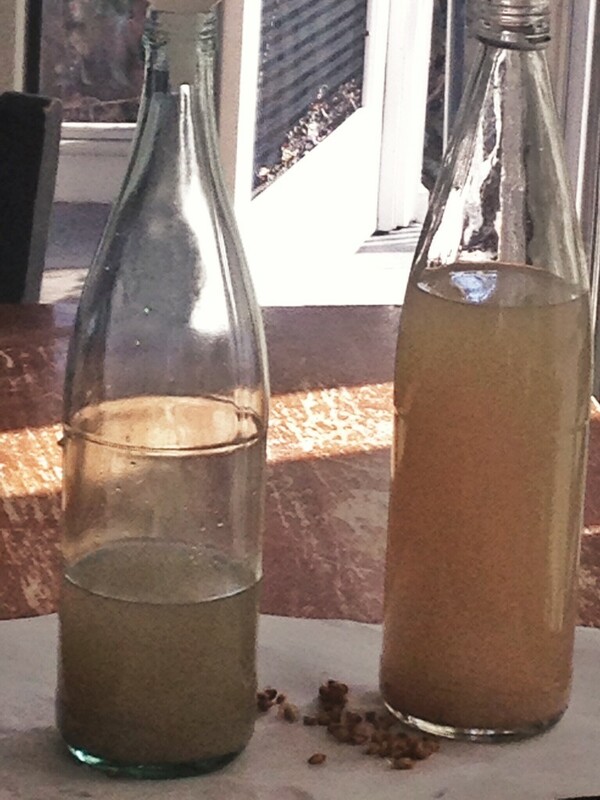 Simply add 1/4 cup of ginger bug to each quart of lemon barley water, along with 1/2 cup of sugar. (Never fear – – the sugar will be eaten by the ginger bug.) Add a few cooked grains of barley to the bottle too. Let sit at room temperature for one day — and that’s it. I found this ginger soda combination very volatile! Release the gas, (maybe hold the bottle in the dishwasher?!) and quickly store in the refrigerator.